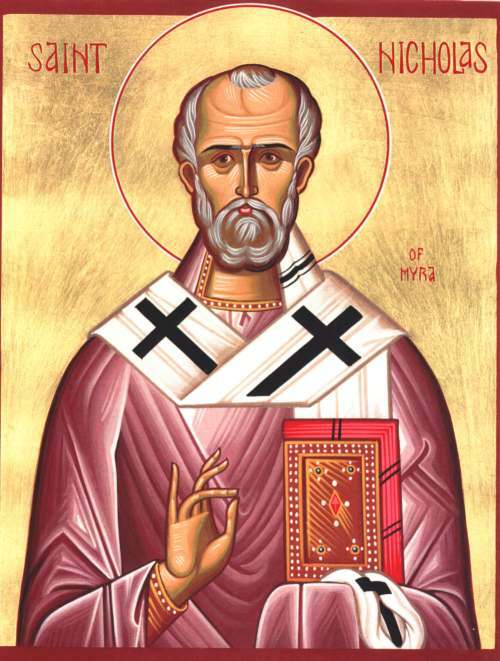 Today is the Feast of St. Nicholas among our high-church friends, a day when the church marks the remembrance of a church leader whose heart for giving has become legendary…so legendary that, like many stories, it has been warped and changed into something it was never intended to be. Indeed, St. Nicholas, the ancient Christian bishop known for great benevolence, has, for so many, become Santa Claus, the Coca-Cola drinking poster- boy for consumerism at its worst. Think about it: the figure of Santa Claus is not a Christian symbol of giving, but an icon of hope for commercial endeavour. Had there been no St. Nicholas to morph, there would be no “Black Friday”, the day retail businesses begin to make a profit for the year. It is no small irony that Black Friday occurs the day after American Thanksgiving, when over 300 million people set aside time to be grateful for all that they have, only to be enticed by sales to trample over people to get – what? – more. St. Nicholas was not about more. And St. Nicholas did not give only to “deserving girls and boys”. No, Nicholas’ benevolence stretched beyond adding to the storehouses of the deserving to meeting the basic necessities of the truly needy. For many in North American society, Jesus’ birthday celebration has become an opportunity to accumulate more rather than to extend grace and kindness to others, as Nicholas did. I encourage you, today, to celebrate the feast of St. Nicholas by treating Advent and Christmas as seasons not of spending money immoderately, but of extending grace lavishly. Jesus said, “Take care! Protect yourself against the least bit of greed. Life is not defined by what you have, even when you have a lot” (Luke 12.15, The Message). By the way, thanks to everybody who prayed for my wife and me while we were in Israel. We arrived home safely last night, and are still processing the trip!